Are you a construction engineer or are you perhaps rebuilding your home? Or just remodeling your home for a fresh look? From scoping out the big picture above to drastically improving safety and efficiency in your business, drones are a great way to make sure that your construction project is the best it can be. For as long as humans have been on the planet, the construction industry has existed in one form or another. Though it may have been primitive, there were many different projects being erected, from temples and ancient structures, right on up to luxury homes with 4-car garages. These days you will see many more of the latter going up, as well as mid sized homes and condominium lofts. With rising population in huge cities, many building projects must go up, as they did in Sao Paulo and Hong Kong decades ago. When these projects were started, many human lives were put at risk, because at the time, scaffolding and cranes were some of the only options used to complete the job of erecting these awe-inspiring structures. It boggles the mind to try and think about what those landscapes must have looked like with all of these towering structures in the making. At Dronethusiast we understand that people want to use drones professionally on construction projects. That’s why we recommend you use Drone Pilot Ground School to learn to fly and get your 107 license to fly from the FAA. 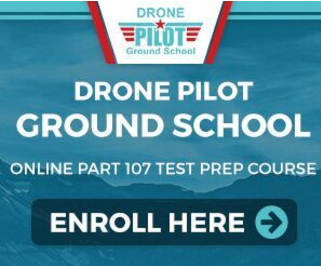 Drone Pilot Ground School is the best course offered and you can get a special limited time deal because you’re a Dronethusiat reader. Click here to get your discount. In all these projects, one thing is common, LOTS of legwork, stamina and missed details. Construction projects are complicated, time-consuming & resource-intensive projects. But, once you are done with the project, they are so worth it, right? So why not get imaginative and employ technology to make this once in a lifetime project (or if you’re a builder/construction engineer – your everyday life) much better? This is exactly what many have done, and from scouting the site to the finishing touches, drones are absolutely a very big part of the picture. You already have lots of software employed, are using sophisticated measuring tools, good quality construction materials and so on. Have you ever thought: what if I could get a bird’s eye view to my project, without employing a full blown flying machine, jet pack or a helicopter? It sure would help if you do so. Or, what if every time there is a problem at the site, you do not have to run there and are able to literally employ eyes and ears on the job site? You can do all of the above and more with a drone. In fact, most of the advanced construction projects are transformed with drones. It is only a matter of time that drones become mainstream technology for your construction projects. Why not spearhead this revolution? Now with options to read geothermal levels, longer battery life, and incredibly high-resolution cameras, camera drones are more sought-after in the construction arena than ever. Many project managers are surprised at the ease of use and learning curve once they get started, and many seek to outsource the drone flying to someone else: either way, the boosted productivity is noticeable instantly. Read through these quick pointers to get started on how to use a drone in construction projects. It is no secret that helicopters were the main source of overhead viewing during the earlier days of film making and construction: they were pretty risky to use, and resulted in quite a few tragedies along the way. The footage that visionaries got from them was epic, but as soon as DJI introduced the Phantom product line and many other manufacturers followed suit, surveyors and construction workers realized they could have an eye above them at a fraction of the cost. Dronethusiast can help you pick drones for kids or help you find a cheap drone for any budget. We’re here to guide you on any drone purchase! 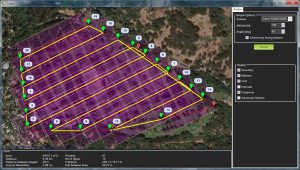 You can use drones to quickly survey your job site and build maps. Instead of using human resources, heavy machinery & expensive surveying tools, that produce complex data, you can get the job done in half the time & money, with greater accuracy. A project manager in Georgia lamented about the use of drones and how they help was pretty groundbreaking in terms of progress and the bottom line. 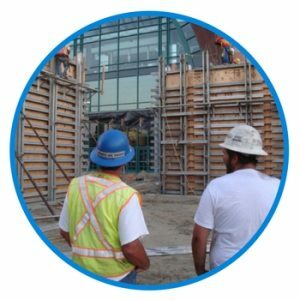 Since it is very common for construction workers to move around from company to company, a project manager can be asked to monitor 30% more jobs during transition times. With the use of drones, he was able to eliminate all of the extra time needed by getting information quicker, and delivered in a much more concise format. Drones in construction have made surveying much easier by playing a huge role in making data collection simple. You as the owner or manager can focus your energy on putting to use the data that is collected, rather than spending painstaking hours figuring out how to acquire it. These small crafts are easily piloted by remote, and can transmit quickly the data they are gleaning to a live feed and SD data storage instantaneously. This makes the task of creating very accurate maps and providing valuable data to numerous companies much easier. Information that you acquire can be uploaded right away to a server, where it can be accessed by individuals all over the globe who you allow authorization. Drones can reach high-risk areas and tightly-squeezed in locations that are quite a bit harder to reach with a human crew. 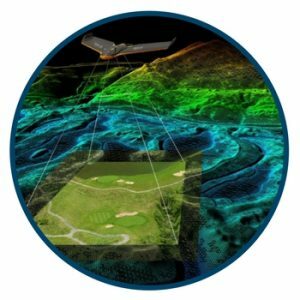 Project managers can also opt to use 3D laser scanners that fly over the designated region and give the surveyor quality images of what the terrain appears like. This data is then used in a process called GIS mapping, which creates a digital map through a mix of statistical analysis and cartography. These maps have a very high definition and allow for the viewing of very specific information about an area that’s easy for the manager to access. As many national entities will soon offer delivery via drone, proprietors who are in the business of getting their goods quickly to customers will stand up and take notice of regulations that may change drastically in the days to come. Models such as high-resolution 3d types use browser-based technology so users can simply share by sending a link, and the client can then log in, view the data, and export it to any local entities if they need. For work on structures such as dikes and dirt containment, this is one way to very easily visualize the progress of the very important duties. DSMs, or “digital surface models”, show the dark blue areas that need the most focus on them, like areas where the dike sometimes needs to drain. 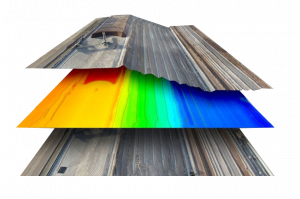 3D models can also allow clients to get an orbital view of the entire site, where they can see important variations in the dirt patterns that show where varying levels of progress is working well, or running into issues. Brassfield and Gorrie is a firm that began using drones for inspection several years ago, and they now have a 24-person team fully dedicated to improving the process with the use of building information modeling. They are equipped with DJI Inspire series drones, and reported that they were a great help during a 61-acre hospital construction site job in Florida. They were able to successfully use Drone Deploy to compare the model of the existing site with the design file, and the final product was a very useful heat map that showed the external contractor’s progress in amazing detail. Green areas were used to show elevation matches in the design plans, and blue areas where that elevation was too low. Using these models allowed the team to have access to earthwork on the site much more quickly than they ever could have using manpower on the ground, and the experienced field engineer claimed that it would have required over 1,000 survey shots to accurately complete the daunting task. Those shots would also have not accurately shown spoil patches, trenches, and the detailed contours of the different areas on the job. When clients stay away from the job site and cannot afford to come to the site again & again & your current pictures are just not doing justice, drones can be an inventive way to show clients the progress of building, renovation, or inspection. If clients are not able to come view the job site regularly, drones are very helpful in providing a visual standpoint that they wouldn’t have seen from the ground. It is not just the task of showing the client what is happening if they can’t be there, it can also help with projects that haven’t even begun yet. Drones do a great job of giving designers and architects an idea of what putting an adjacent structure up will look like, and how the aesthetics will change a very large project in a community in regards to open space on the ground and upwards. When you have to frequently shuttle between multiple job sites, or have taken up simultaneous renovation & facelift for multiple properties; putting up a drone to monitor the progress, work, safety standards and much more can save you a lot of energy, time & money. When your workers are on a job site, the main objective that any project manager could wish for is keeping them productive. It is understandable that energy levels will ebb and flow, but you can also detect if any equipment shows up missing, or if other areas may need more workers designated to them for special accommodations. If safety standards are one of the elements you are trying to monitor, one important aspect to keep in mind is that you will be flying a bit low to the ground. As soon as a pilot has experimented with this for awhile it is fine, but this is a part of the operation where you could be buzzing a bit lower than for general birds eye photography. Saving time from traveling between job sites is also a great benefit, as a worker at the adjacent site can fly a drone up and transmit you the photos or video. Instead of employing heavy software, lots of people and relying on complex readings, you can employ a drone to get a first-hand view of how solid your structures are, how aesthetically pleasing they are coming up, and where they are moving out of the plan, all in a hurry. Commercial building management relies on inspection for wear and tear, and the most effective ways to do this are at least once a year. When a structure begins to deteriorate, it is one of the quickest ways to watch its value do the same. Traditional ways that buildings are inspected can involve precarious climbing up onto the roof, and other parts of the structure using scaffolding or a harness. The element of time-saving is one that drones really make a difference with here, and use of drones in construction industry have helped by leaps and bounds. 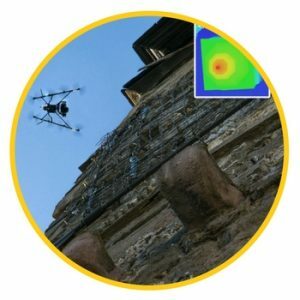 Images captured during the inspection are very easy to use in modeling, and the rates to hire a drone pilot are less than what you can expect to pay to insure the person who would have had to manually scour the building or site. 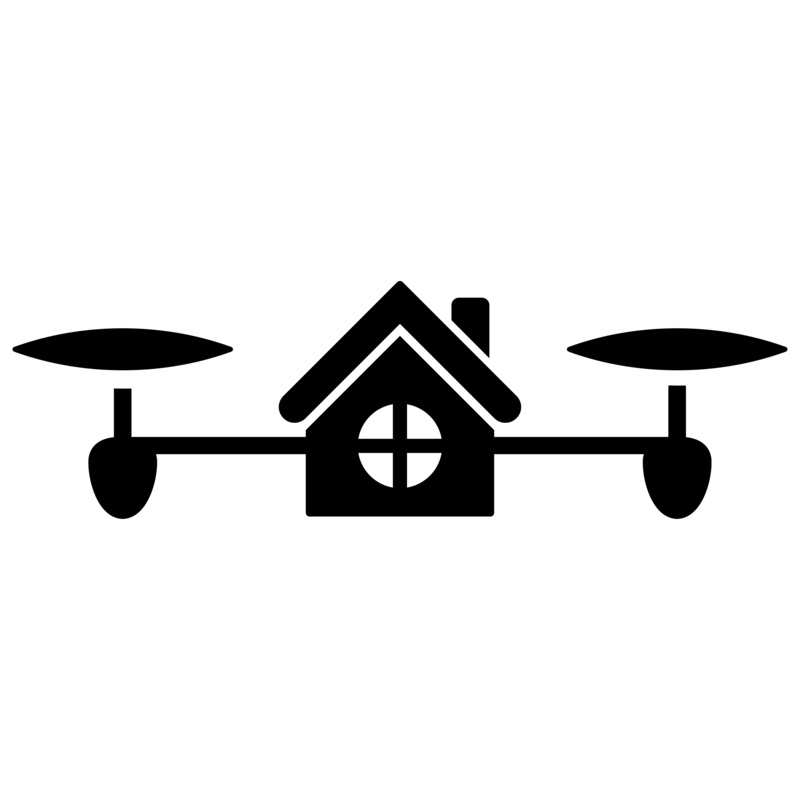 Construction drones are also used during inspection to give actual investors a better look at what they hold a stake in if someone very important to the operation is in a different city or state, images of current property that will soon be repaired can be streamed live. This up-close approach really helps with making investors and clients feel as if they are a part of the process, even when they may be miles away. Pilots for drones used in construction working under the Federal Aviation Administration Section 333 Exemption are absolutely required to have insurance. One of the dangers of hiring subcontractors is that sometimes they will even send out someone else to the job site if they get busy, and you want the operator on site who is properly bonded. Another thing to ask for from those who will be helping you with inspection footage is for videos of past jobs they have completed. It is generally a good idea for construction drones surveyors and operators to at the very least have a 1080p on up to a 4K video camera, which allows you to properly examine damage to structures in greater detail. A several hundred foot tall TV tower on the edge of a job site was one object that was tackled to be visualized by a team using drones. For an area that covered 78 acres, the flight time was around one hour and 15 minutes, and they captured 997 images. The survey helped deliver an ortho mosaic map, elevation map, and 3d model on a cloud to the client, who was more than impressed with the accuracy and depth presented. It would have taken a team of two surveyors an entire week by using traditional methods, and it only took the drone operators with a Phantom 3 an hour and 15 minutes to cover the area in depth. With your eyes & ears in the sky, all the time, you will be in a much better position to locate that unstable pillar, precariously balanced laborer and not deep enough excavations. If, you keep up the drone – survey, gradually you will build an excellent safety system and your reputation. 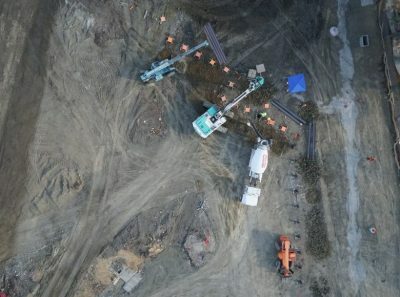 Drones in construction can do a great job of hovering over a location that is too dangerous for a worker to get to, and can save lives by monitoring workplace conditions in areas that are very hard to reach. In manufacturing plants, drones can help with reconnaissance, sending images of what kind of conditions can be expected before a worker is dispatched. Plant reliability and maintenance is one area of safety code that can benefit in many ways with the use of drones in construction industry. It is possible to send images back to onlooking engineering and maintenance teams, and identify issues right away that may lead to a malfunction or breakdown in the future. Accidents and injuries are the main items that managers are looking to prevent by using construction drones to improve safety. Since robotic use is already at an all-time high in plants, there may be even more activities in the future that are deemed risky pulled off successfully with their use. Drilling and welding can take place on the open seas, in dangerous caves, and other locations that pose serious threats to safety. When managers are concerned with safety issues, the old way of doing things was to walk around the plant and take a look. It seems sensible, because a human pair of eyes and ears on the floor will be able to quickly recognize any problems with safety. But with the use of a drone and monitoring device, safety managers can see what is happening in real time, and which areas can use drastic improvement. Firms that use prefabrication or modular construction have benefited greatly from using drones in construction to increase productivity and minimize the risk of mistakes that could be very costly in the long run. When you can use drone imaging to show erection sequences, crane locations, and perimeter security like fencing, you can view them repeatedly to pinpoint where projects begin to get congested, and even predict where hazards could pop up. The use of 3d visualization can drastically aid those who are looking to check the reach of a crane with construction drones. You can continuously go over data that will help predict the risks in case a load falls, or to access areas that the long and low reach of a crane may collide with. Making very informed decisions without having the risk of being onsite during a weather issue or period of social unrest could be very beneficial as well. According to a closely-watched Usability assessment by Georgia Tech, being able to skirt around a job site quickly with the use of a drone can improve the efficiency of a manager in charge of safety by up to 50 percent. At close glance, this is not surprising: analyzing areas of risk and safety issues are much easier in real-time, and the days of an old-fashioned clipboard for data have long been over in many plants. By identifying the parts of the project that are going off-track, having the ability to prevent any causalities, rigorously monitoring your job sites; you will be much better prepared to remove any additions to project time and cost. As many project managers know, real-time control is some of the most difficult to keep a handle on. The more information you have at your fingertips, the more control you have over your project ultimately. If something goes wrong on the site, you will lose drastically less money if you can correct the problem very quickly. Making crucial decisions about when a project is going to close is essential to the stoppage of cash flow that can literally bleed during this juncture of building. Using drones allows you to have more real-time detailed control over the project, so you can keep track of the progress visually, and achieve closure at perhaps a quicker time then previously estimated. Looking back to see what went well on a project and what did not is one of the most important ways to figure out what can be done in the future for profitability, and will help the manager figure out how to execute other projects more efficiently. 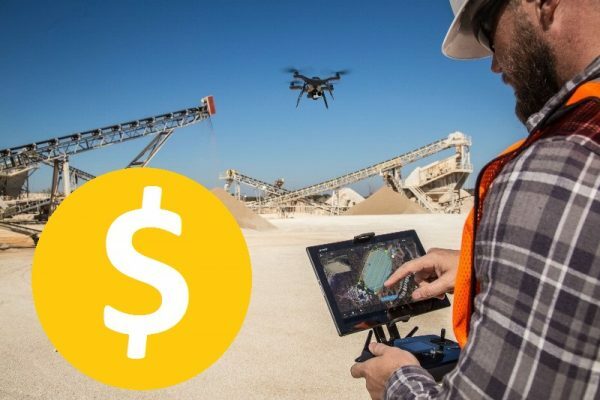 Looking for drones construction applications can always shape the next step in your business massively, and help you as the boss keep your eyes out for other ways to generate revenue, and other ways to make things operate at a higher standard. We are now absolutely in a time period where nearly everyone in major metropolitan areas has caught on to just how useful drones can be. As regulations change in the near future and construction site managers get on board with new uses and applications, seeing drones buzz around the new construction site in your city will be just as commonplace as the sight of hard hats themselves! Looking for other great articles on dronethusiast, check out our cheap drones reviews! Are you a construction engineer or are rebuilding your home? Or just remodeling your home for a fresh look? Read through these quick pointers to get started on how to use a drone in construction projects. Pretty interesting suggestions, i never really thought of it like that. But depending on the height of the construction you would need something like a DJI Phantom 3 with 4k video. Because if the construction worker used something like a Hubsan X4 with VGA the client wouldn’t be able to see anything clearly. Also the X4 would be hard as hell to control. True, you will not be able to use small toys to perform a professional job. You need better toys :). I have a few questions for you. I am a drone enthusiast and your insights could help me on an ongoing research I am pursuing. Kindly reply , would be great help. Is there any way we can use drones to set out the site / building? i.e. use it as a tool to mark column footings, columns, wall lines etc? Not currently but there are other high-tech ways to do that via GIS data. – but I bet that day is coming ! Try to learn more about drone for construction projects. Can you name up some useful apps to execute such tasks? You mentioned Drone Deploy, but are there others? This new invention of drone delivery is soon about to change the trends of logistics services and many food delivery service providers are also now going to use this system to make timely delivery. I’m long retired but had over 50 years (of 70 work years) of construction safety all over USA and some in foreign countries. I’m a firm believer in the innovation coming with drones. I’ve helped put up over 100 tower cranes, taught college courses I designed, etc. What would a “consultant” with my experience and certifications, 2 college degrees and more, charge for his work. My expertise is OSHA regulations and safety inspections-PS I’m 83 and in good health. Also was Aviation Electronic Technician in Navy, mechanic, photographer. Do not now own a drone but some of the prices are very reasonable. I see one of my friends on Facebook has a pal that puts up Wind Turbines. I’d like to photo that just for the excitement. I’m not sure I can climb to the top of one of these structures but I have construction photos from all over the world. On one job in Constantinople Egypt I was taking photos outside the fence, while on vacation. The superintendent wanted to know what I was doing. I had some photos where we were erecting a crane at the Pentagon repair site. Took me as one of their own, took me topside so I could see and photograph. I think the drones would have superior inspection ability on jobs I’ve only seen in Dubai.